In my last post I mentioned two new communities in formation for the Oratory in Washington and St Louis. 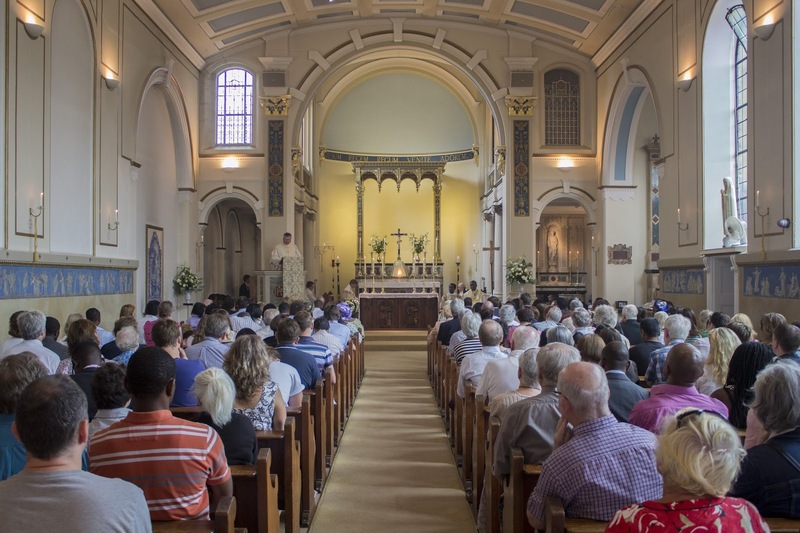 The Fathers in Washington DC have been resident at St Thomas, Apostle since 10 July. Here are links to further information about the one in Washington DC and the one in St Louis. This is just a brilliant addition to our world. The platform allows anyone to learn Gregorian chant. No need to wait for a seminar to come to you. You learn from your desktop or laptop. Bishop Drainey of Middlesborough has invited the Oratorians of Oxford to take on the Parish of St Wilfrid's in York. 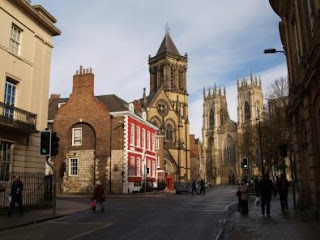 St Wilfrid's is the largest Catholic church in York (originally intended to be a cathedral) and close by is the gothic grandeur of York Minster. St Wilfrid's also looks after the shrine of St Margaret Clitherow who was martyred in York in 1586. 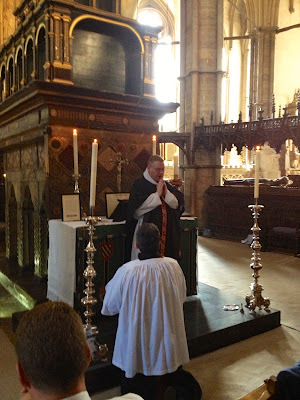 Fr Richard Duffield of the Oxford Oratory will become Parish Priest in October. Two new Oratories have recently started in the USA in St Louis and Washington DC; it's wonderful to see the same thing happening in England. More information is available on the Oxford Oratory's website. Toward the end of the interview, a Russian journalist asks the Pope to comment on the 1025th anniversary, currently being celebrated in Russia, Ukraine, and Belarus, of the baptism of the Rus', the ancient Russian people, centered at the time (988 A.D.) in Kiev. In response, the Pope makes a very positive judgement on the liturgy of the Orthodox. To my knowledge, this response has been little noted. 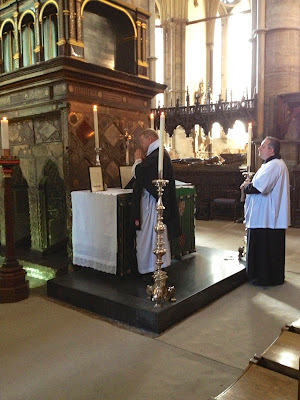 "They have conserved that pristine liturgy, no?" Pope Francis says. "So beautiful. We [i.e., the Latin Christians] have lost a bit the sense of adoration, they conserve it, they praise God, they adore God, they sing, time does not count. The center is God and that is a richness that I would like to emphasize on this occasion as you ask me this question." At a moment when many are continuing to wonder about Francis' attitude toward the old liturgy of the Church, it is important to note these words of the Pope, which as far as I know have not been noted by any journalist commenting on this long interview. In its publication in English of the Pope's press conference after World Youth Day, ZENIT gives us the complete response to the Russian journalist's question. To the Brethren and the Fraternities of the Congregation of the Franciscan Friars of the Immaculate, in all their abodes. The Holy Father Pope Francis has entrusted to me the delicate duty of Apostolic Commissioner of your congregation. 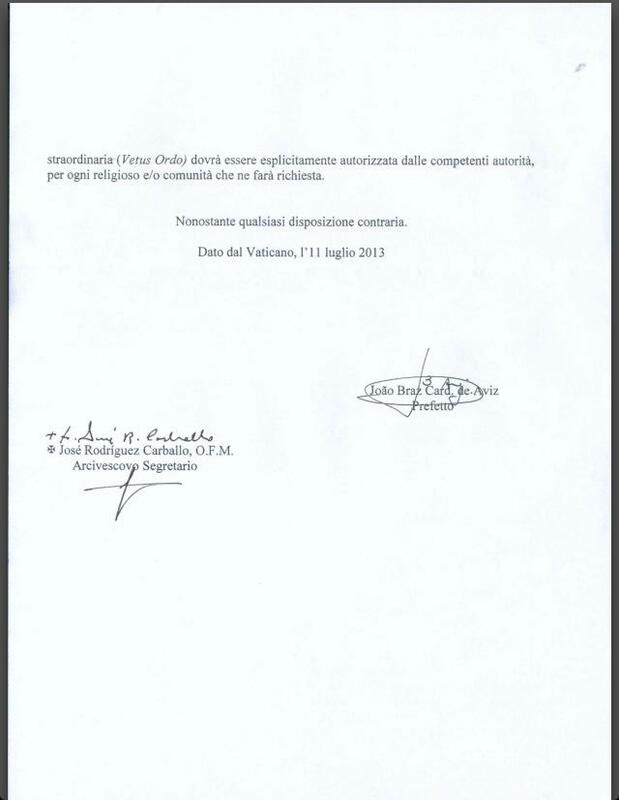 Attached is the decree of the Congregation for Institutes of Consecrated Life, dated July 11, 2013. I believe that I do not need to add anything to such a clear and urgent thought of Pope Francis, who rightly concerns himself with the “feeling with the Church”, since only in this way can the Consecrated Life correspond to what the Church expects from it, and become, in this way, the Light of the Gospel in the world for the faithful who need to know and follow the truth which Christ has revealed to us. In the spirit of that obedience asked for by Our Holy Father Francis in the “Letter to a Minister”, I greet you fraternally in Christ. Translator’s note: I have translated the Italian verb “sentire” and its derivative “sentano” with the periphrasis “being of one mind,” since its normal meanings “hear” and “sense” are not appropriate to the context. It could also be translated “feel”, but in English, “feel” has negative connotations of vagueness and subjectivity which are also inappropriate to the context. 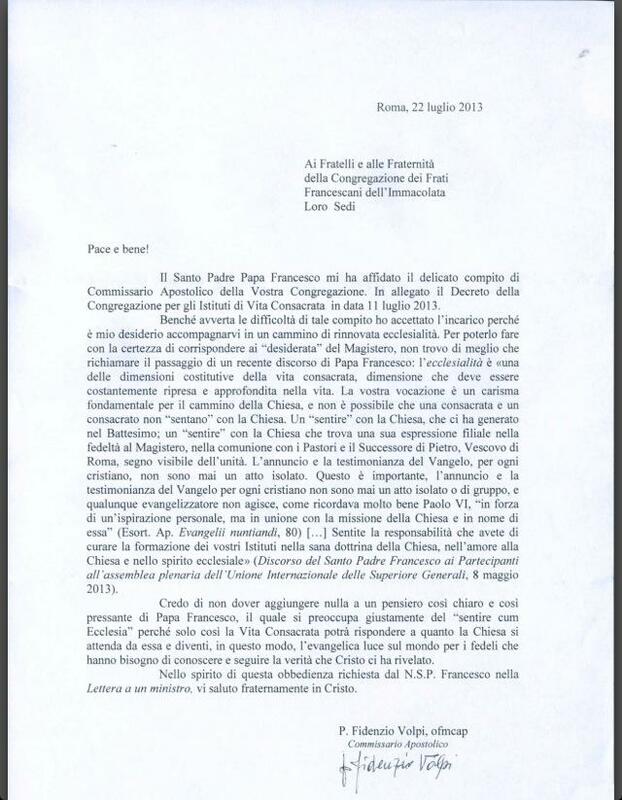 This letter has been made available by the courtesy of the editors of the Italian website Messa in Latino. The translation is my own. Free use of the text is given to all. The Recent Decree Concerning the FFI - Full Text in English. From the Congregation for Institutes of Consecrated Life and Societies of Apostolic Life. 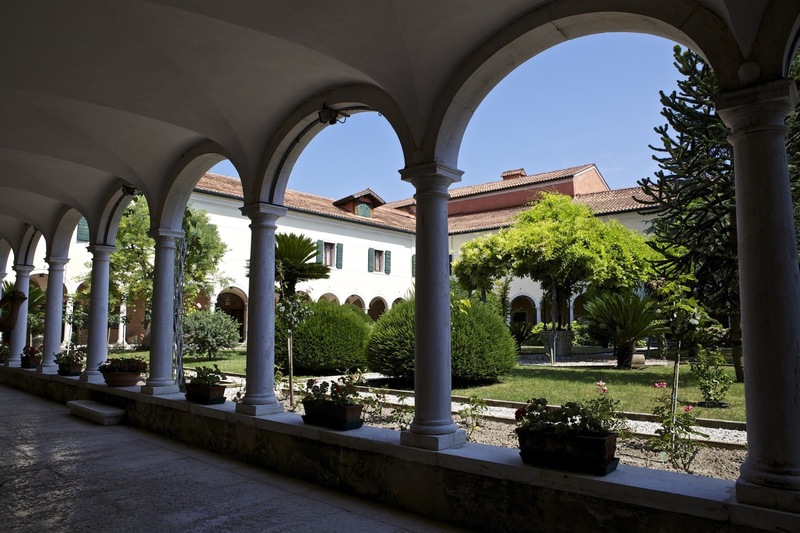 The Congregation for Institutes of Consecrated Life and Societies of Apostolic Life, attentive to the considerations formulated in the report presented by Mons. Vito Angelo Todisco at the conclusion of the Apostolic Visitation orderd by a decree of July 5, 2012, in order to protect and promote the internal unity of religious institutes and fraternal communion, the suitable formation of religious and consecrated life, the organization of apostolic activities, the correct management of temporal goods, has deemed it necessary to name an Apostolic Commissioner for the Congregation of the Franciscan Friars of the Immaculate, with the jurisdictions attributed by particular and universal law to the General Government of the aforementioned religious Institute. of the Congregation of the Franciscan Friars of the Immaculate. In the fulfillment of his duties, the Rev. Fr. Volpi will assume all the jurisdictions which the particular legislation of the Institute and the universal (legislation) of the Church attribute to the General Government (of the F.F.I.) Furthermore, he will have the authority, if he deems it opportune, to avail himself of collaborators chosen at his discretion and named by him, subject to the assent of this Dicastery, whose opinion he may ask for when he deems necessary. The Rev. Fr. Volpi must inform this Dicastery every six months on his actions, sending a detailed report in writing on the decisions he has made, the results of them, and the initiatives which he deems useful for the good of the Institute. Finally, it will be the duty of the Franciscan Friars of the Immaculate both to reimburse the expenses incurred by the aforementioned Commissioner and the collaborators which may eventually be nominated by him, and to pay the honorarium for their services. In addition to what is stated above, on the same date, the previous July 3, the Holy Father Francis has decided that every religious of the Congregation of the Franciscan Friars of the Immaculate is obliged to celebrate the liturgy according to the Ordinary Rite, and that, in the event, the use of the Extraordinary Form (Vetus Ordo) must be explicitly authorized by the competent authorities, for every religious and/or community that requests it. All instructions to the contrary notwithstanding. Pope Francis has also severely restricted our use of the Extraordinary Form of the Mass, and this has been reported by a major italian journalist as a “contradiction” of Pope Benedict’s permission granted in the motu proprio Summorum Pontificum. This is an unfortunate instance of an overeager journalist sensationalizing something he can only speculate about. If this is genuine, then it certainly adds some important context to the Sandro Magister story which Jeffrey posted earlier. You can read the whole of Fr Angelo's post here. The Catholic web is buzzing about the column by Sandro Magister this morning. 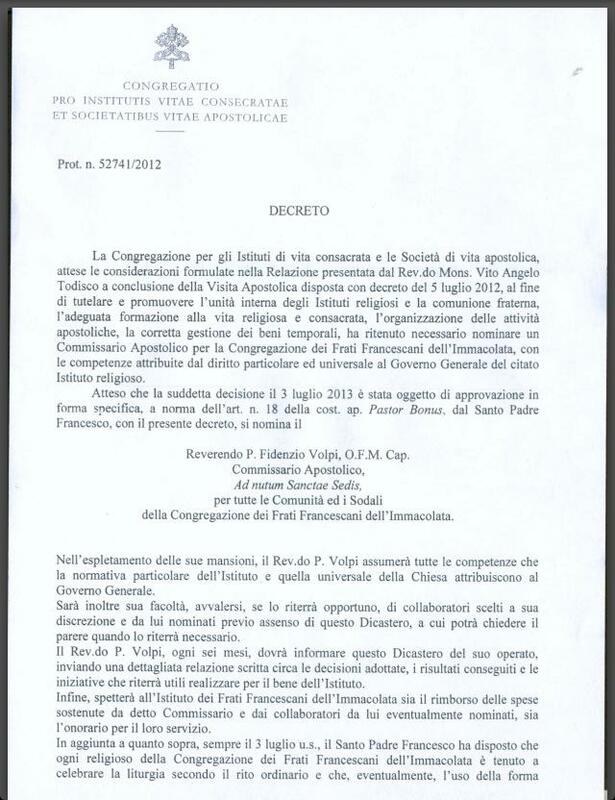 He reports of a July 11 decree from the Vatican congregation for religious life: "The decree bears the date of July 11, 2013, the protocol number 52741/2012, and the signatures of the prefect of the congregation, Cardinal Joao Braz de Aviz, a focolarino, and of the secretary of the same congregation, Archbishop José Rodríguez Carballo, a Franciscan." This seems to be an important step away from one of the major achievements of Benedict XVI, the liberalization of the older form of the Roman Rite. I say that based on the information that is currently available. At the same time, more information might be forthcoming that would help clarify matters. 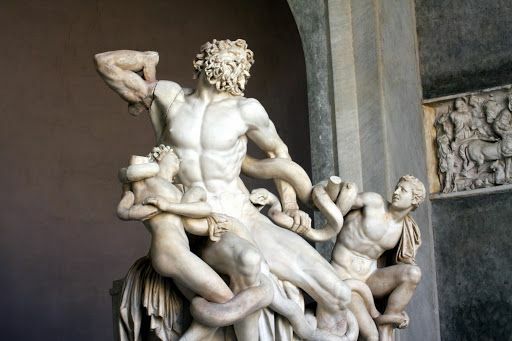 Matt Collins sent this to me today - an article in Epoch Times about the famous Laocoon in the Vatican Museum. 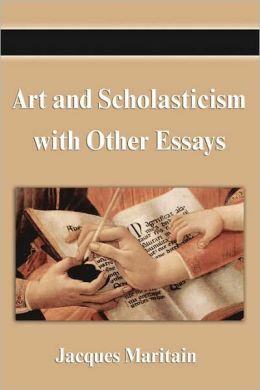 Recent scholarship has suggested that what we have is a copy and that even Pliny the Elder was incorrect in his assessment of it. My response to this, is that if ever there was an argument for the value of copies then this is it. As Matt points out how it is difficult to imagine that the original was greater. 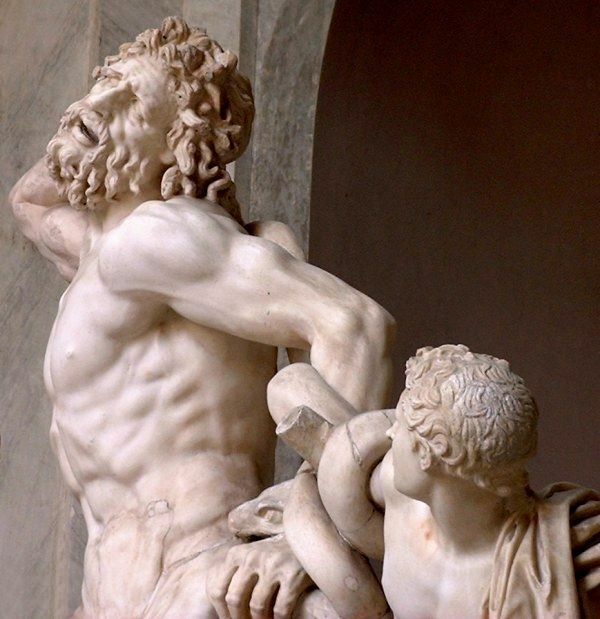 Another interesting discussion is the impact that the discovery of the Laocoon in the early 16th century had on Michelangelo. He lost confidence in his sculpting abilities, it seemed and barely completed another sculpture in the remaining 58 years of his life. His response was to focus more on his painting, and particularly fresco painting...and we see the results in the Sistine Chapel. The full article is here. Matt was my teacher in Florence and a painter and sculptor who understands the baroque style as well as anyone I know. He was very patient with me as I continually asked him for more recommendations for books to read. He is an American who lives with his Italian wife and family in Italy. A reader recently sent in these lovely pictures from a pilgrimage in the Ukraine. For those who read Polish, there is more information here. In the opening talk at Sacra Liturgia 2013 the wonderful Cardinal Malcolm Ranjith of Sri Lanka mentioned, almost in passing, it seemed to me, how important he felt it was that we assert the Pauline anthropology of body, soul and spirit. This immediately reminded me of an paper presented by my friend Stratford Caldecott that is recorded in the proceedings of the liturgical conference at Fontgombault Abbey in France in 2001. This was attended by the then Cardinal Ratzinger and the proceedings were edited by Alcuin Reid (who was the coordinator and a main speaker of Sacra Liturgia 2013). In this presentation entitled Towards a Liturgical Anthropology, Caldecott argued that a key reason for the stagnation of the liturgy in the 19th century, the effects of which we are still suffering from today, is an insufficient recognition of the spirit of man. This is referred to by St Paul and is an aspect of the soul. You can find details of this here. 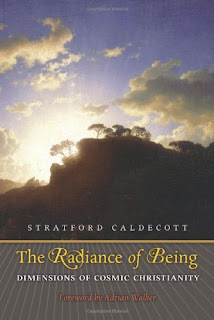 In a chapter of his new book The Radiance of Being, Stratford develops this theme further. This is just one interesting part of this book which has the subtitle, Dimensions of Cosmic Christianity. In it he develops a number of different themes that he written about in his blog and journal Second Spring and some that he introduced in his well received book Beauty for Truth's Sake. 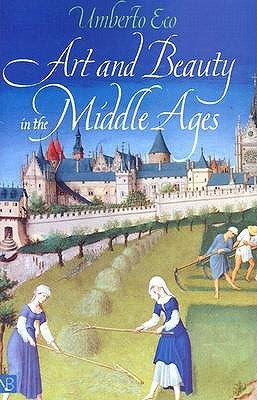 Almost anything written by Stratford is worth reading, if only for his beautifully clear prose. He has a gift for being able to explain very difficult and abstract concepts in a way that is informative and engaging. So his is writing is recommended to all. In this book he is delving quite deeply into a number of areas that interest him - for example the mystery of the Trinity and aspects of the truth that appear in other faiths. I wonder if it might seem a little obscure to those who know nothing of his work otherwise, so it is perhaps not to be recommended as a first introduction to his work. However those who have read his other books and articles will almost certainly find something of interest here. A Carmelite seminarian from Mexico recently contacted me saying that he can not find all the necessary books to celebrate the liturgy in the EF specific to the Carmelites. If you have any of the following books, or can lead to someone who can, send me an email in the sidebar, and I'll connect you with him. He expressed a preference for books published before 1958. He is also possibly interested in other related books, even if they are not listed. In honor of the Feast of Saints Joachim and Anne—a day that beckons us to meditate on the holiness of marriage between man and woman as God the Creator instituted it and as Christ our Redeemer healed and elevated it—I publish for the delight of readers what I believe is the first English translation of the marvelous introduction to Pope Innocent III’s Liber de quadripartita specie nuptiarum or Book of the Four Kinds of Marriage. 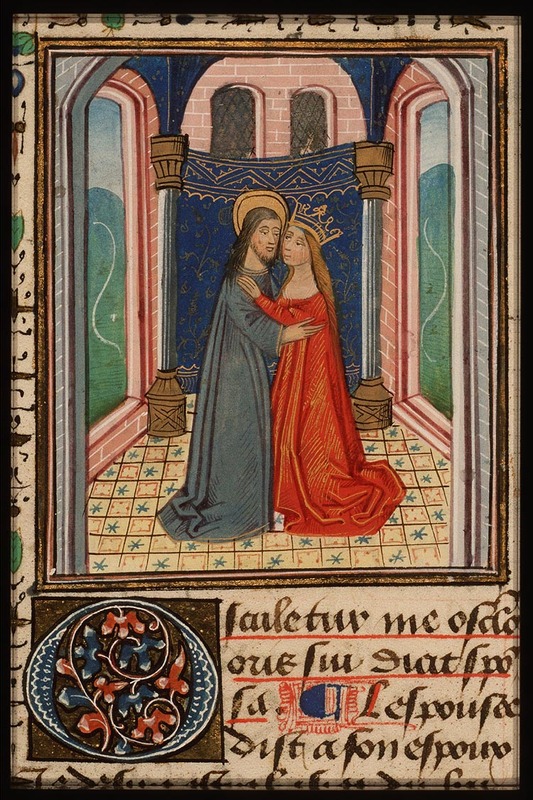 I find it particularly beautiful to consider that the marriage of Joachim and Anne, animated by their powerful love for each other, was the created source from which Divine Providence deigned to draw forth the Holy Mother of God, “our tainted nature’s solitary boast,” even as He drew forth the Holy One of Israel from her virginal womb by the power of an even greater Love, the Holy Spirit. Pope Innocent here beautifully demonstrates the rich and subtle analogical thinking that was part and parcel of the traditional (patristic and medieval) way of approaching not only Scripture but also the prayers and gestures of the liturgy. It is a kind of thinking and a way of approach we must recover in order to deepen our grasp of the many interlocking layers of meaning to be found in the sacred pages of the Bible and the authoritative pages of the Missal. I also noted with some interest, as a Benedictine oblate, that on the traditional Benedictine calendar (the one observed prior to the Council and, in our own day, by monasteries celebrating the usus antiquior) today we celebrate the Feast of Saints Joachim and Anne, while in the Roman calendar these feasts were separate until the calendar of the Ordinary Form combined them on this day. But to explore the history further would require a separate article. By the teaching of Sacred Scripture, we learn that there are four kinds of marriage, according to the four kinds of theological understanding: historical, allegorical, tropological, and anagogical. The first is between man and his lawful [legitimam] woman. The second is between Christ and holy Church. The third is between God and the just soul. The fourth is between the Word and human nature. Of the first kind of marriage, the first man [Protoplastus] wakefully prophesied: “On account of this, a man shall leave his father and mother, and shall cling to his wife: and they shall be two in one flesh” (Gen. 2:24). Of the second kind of marriage the angel speaks to John in the Apocalypse: “Come, and I will show you the bride, the spouse of the Lamb” (21:9). Of the third kind of marriage the Lord speaks through the prophet Hosea: “I will espouse you to me in justice and in judgment, in mercy and in lovingkindness” (2:19). Of the fourth kind of marriage the bride speaks in the Song: “Go forth, daughters of Sion, and see king Solomon in the diadem, wherewith his mother crowned him in the day of his betrothal” (3:11), as if to say: O daughters of Sion, i.e., impermanent and carnal Jews, go forth out of the darkness of infidelity and of ignorance, and see not with the bodily eye but with the eye of the heart, i.e., believe, king Solomon, i.e., Christ the true peace-maker, who makes one out of two (Eph. 2:14), in the diadem, wherewith his mother crowned him, i.e., in that singular grace by which the Virgin Mary conceived him without fleshly curiosity, without fervor of lust, without stain of sin, holy, clean, and unblemished, according to what the angel said to the Virgin: “The Holy Spirit shall come upon you and the power of the Most High shall overshadow you: on which account the offspring born of you shall be holy, and shall be called the Son of God” (Lk. 1:35); in the day of his betrothal, i.e., of his Incarnation, when “the Word became flesh” (Jn. 1:14), and betrothed [to himself] human nature. In these four kinds of marriage we discover, with admiration and veneration alike, something most dignified. Through the first, it is brought about that two be in one flesh; through the second, it is brought about that two be in one body; through the third, it is brought about that two be in one spirit; through the fourth, it is brought about that two be in one person. For concerning the first, authority testifies: “They shall be two in one flesh” (Gen. 2:24), because of which union the Truth concluded: “Accordingly, they are no longer two, but one flesh” (Mk. 10:8). Concerning the second, the Apostle says: “All members of the body, though they be many, are one body” (1 Cor. 12:12); “even so are we one body in Christ” (Rom. 12:5), because of which union the same Apostle adds: “for all of us were baptized into one body” (1 Cor. 6:17). Concerning the third, the same Apostle says: “He who cleaves to the Lord is one spirit” (1 Cor. 12:13), and he is one spirit with him, because of which union the Apostle John says: “he who abides in charity, abides in God, and God in him” (1 Jn. 4:6). Concerning the fourth, the Catholic faith confesses that “as rational soul and flesh are one man, so God and man are one Christ” (Athanasian Creed); because of which ineffable union the Evangelist testifies: “the Word became flesh, and dwelt among us” (Jn. 1:14). Therefore the first union is properly fleshly; the second, sacramental; the third, spiritual; and the fourth, personal. Fleshly, as we have said, between a man and his lawful wife; sacramental between Christ and holy Church; spiritual between God and the just soul; personal between the Word and human nature. Here is some rare footage of Bishop Joseph Henry Leo Schlarman processing into St. Mary's Cathedral to administer the sacrament of Confirmation on children from Guardian Angel Home Orphanage, Peoria, IL. Circa 1932. 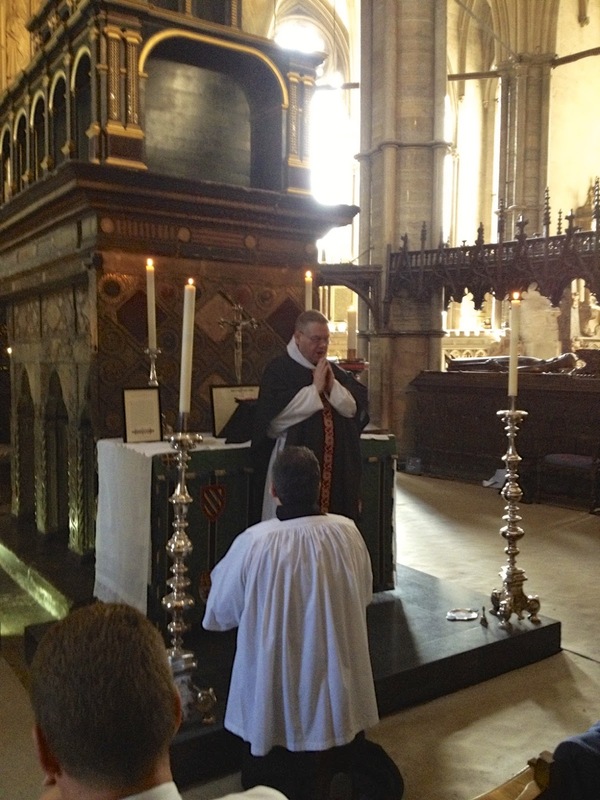 — at St Mary's Cathedral. This is from a new Facebook page called the Museums of the Diocese of Peoria. How do you teach Catholic engineering? How do you train a plumber to be a Catholic plumber? Is there such a thing? The answer it seems is very simple, but very powerful: it lies in a formation in the liturgy and making the connection between the liturgy and the culture (of which these occupations are part). The word used to describe this is mystagogy. This struck me recently when I was attending the conference Sacra Liturgia 2013 in Rome and wrote about this at length here in an article for Catholic Education Daily called A School of Love - the Sacred Liturgy and Education. As I was listening to each speaker talk about the liturgy and all the fruits of an active participation in it, it struck me that these were precisely what every Catholic educational institution would love to be able to claim to offer all of their students. Furthermore, we were told how to form people and I have written about this in the article. After writing the piece I read the following quote from Pope Benedict on mystagogy which seems to support this. Mystogogy means literally in Greek, 'learning about the mysteries' Mystagogy is, to quote Stratford Caldecott ‘the stage of exploratory catechesis that comes after apologetics, after evangelization, and after the sacraments of initiation (baptism, Eucharist, and confirmation) have been received’ and is sometimes referred to a formal stage of education of the newly baptised Christian in living out the faith. I was asked to attend by the Cardinal Newman Society, which promotes faithful Catholic education in our colleges and universities and to write for their website Catholic Education Daily. Secular institutions thrive on creating spaces that are driven and purposeful, that make it nearly impossible for the individual encountering this world not to be completely surrounded by the sights, sounds, and smells of the intended idea behind the institution. Meanwhile, our Churches are shy, cautious, and confused about the purpose of why we do what we do, cautious about our historic forms, wary of being the real alternative to the casino culture, and even unknowledgeable about how to go about realizing the fullness of our own tradition and ritual. People are drawn to institutions that believe in their purposes and put the evidence of it up front so that it is apparent to all who walk in the door. The casino makes an effort to transport its customers in order that they might come to believe things that are mostly fiction and all untrue. The Catholic faith, which is that one space in this world that is charged to provide the fullness of truth in time and eternity, needs to make similar efforts to transport its people to a world of truth that no one else is willing to take on. The key to doing this is found in our heritage and liturgy, which, if we accept in its organic development as it has emerged through the centuries, give us a spectacular template for the art and sensory signals that put on display the mystical reality that liturgy puts before us. The claim of the Mass of the Catholic Church is more impressive than that offered by any other institution. “Whoever feeds on this bread will live forever.” Would someone walking into Mass for the first time be convinced that we really believe and teach this? Let not our symbols and rituals be taken from us and made to serve mammon. We can make them our own again, not to win superficial games but win souls and the whole world. 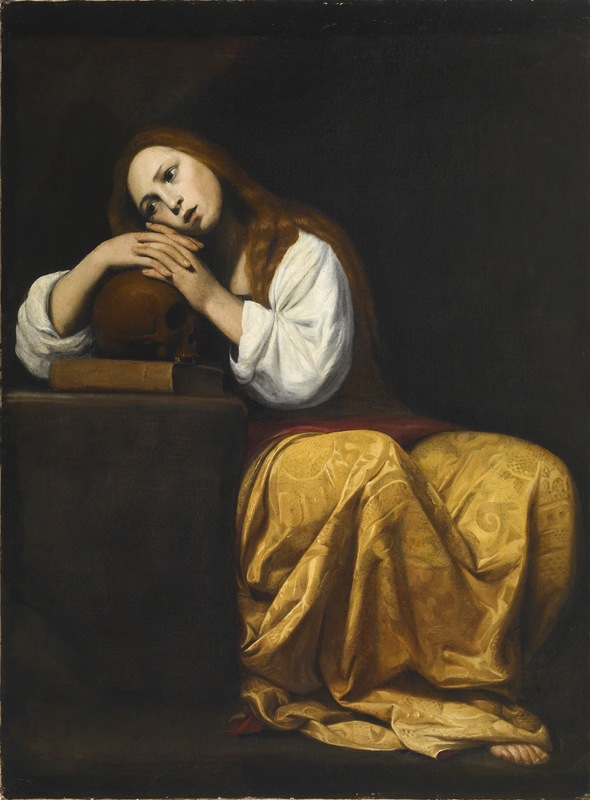 On this feastday of St. Mary Magdalene, we might reflect on a curious detail recorded about her. In St. Luke’s Gospel, we read: “Soon afterward he went on through cities and villages, preaching and bringing the good news of the kingdom of God. And the twelve were with him, and also some women who had been healed of evil spirits and infirmities: Mary, called Magdalene, from whom seven demons had gone out, and Joanna, the wife of Chuza, Herod’s steward, and Susanna, and many others, who provided for them out of their means” (Lk 8:1-3). In St. Mark's Gospel, the same fact is mentioned, but this time in the narrative of the resurrection: “Now when he rose early on the first day of the week, he appeared first to Mary Magdalene, from whom he had cast out seven demons” (Mk 16:9). As I reflected on these passages, another saying of the Lord Jesus came to mind: “When the unclean spirit has gone out of a man, he passes through waterless places seeking rest, but he finds none. Then he says, ‘I will return to my house from which I came.’ And when he comes he finds it empty, swept, and put in order. Then he goes and brings with him seven other spirits more evil than himself, and they enter and dwell there; and the last state of that man becomes worse than the first. So shall it be also with this evil generation” (Mt 12:43-45; cf. Lk 11:24-26). 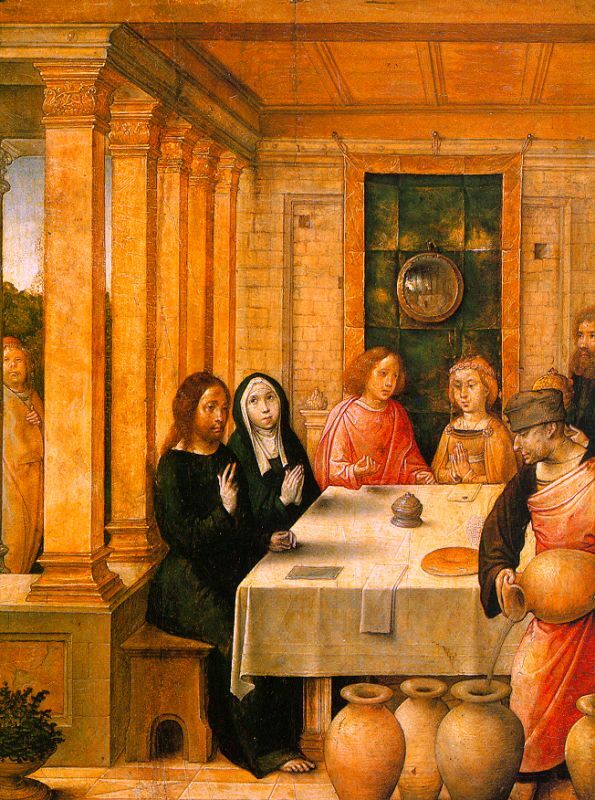 Mary Magdalene was a woman with problems, seven demons to be exact, but when she met the Lord and received His mercy, she was transformed—by being rid of her demons and filled instead with the love of Christ, filled as with a banquet. She went from being surfeited with evils to being nourished by the good. The problem with the unnamed man in the other passage is that the moment he was free to take charge of his own affairs, he did not fill himself with God, but rationalistically cleaned out (one might even say sanitized) his inner chamber, which was characterized not by the order of charity but by mere orderliness. His condition was an irresistible invitation for seven more demons to come in and take advantage of precisely that swept and orderly emptiness. The one who let her soul be overtaken, seized, and filled with Jesus threw off the demonic powers and received a first glimpse of the glory of His resurrection; the one who opted for function over beauty, freedom of possibility over the bond of commitment, reason’s order over God’s ecstasy, this one suffered corruption, won hellish company, saw no resurrection to life. Fr. Mark Woodruff has begun offering a monthly Extraordinary Form Mass in the Diocese of San Angelo, TX. The Mass takes place on the last Sunday of the Month at St. Elizabeth's Catholic Church in Odessa, Texas. In the images below, Fr. Woodruff celebrated the Mass and was assisted in communion distribution by Fr. Lorenzo Hatch, a recently ordained priest (June 8th) for the Diocese of San Angelo. Ryan Rojo, a third-year seminarian for the Diocese of San Angelo at Mundelein Seminary, served. Readers here might be interested in a show ("Forward Boldly," hosted by Christine Niles) scheduled for tonight at 10 p.m. ET during which Catholic blogger Matthew Arnold will discuss characteristics of the two forms of the Roman rite. A chat room and phone line are open for questions and comments. CWR: What are the most evident fruits of the conference? Dom Reid: In some ways that question is premature. 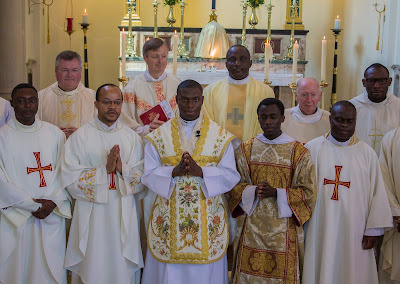 Certainly those who participated seem to have come away encouraged and better equipped to promote and insist on the absolute necessity of sound liturgical formation and the celebration of the liturgy as the Church gives it to us, as the necessary foundation for Christian life and mission. I think that Sacra Liturgia 2013—and especially its published proceedings—will help to connect our efforts towards liturgical renewal today with the broader liturgical tradition in line with the best intentions of Sacrosanctum Concilium. 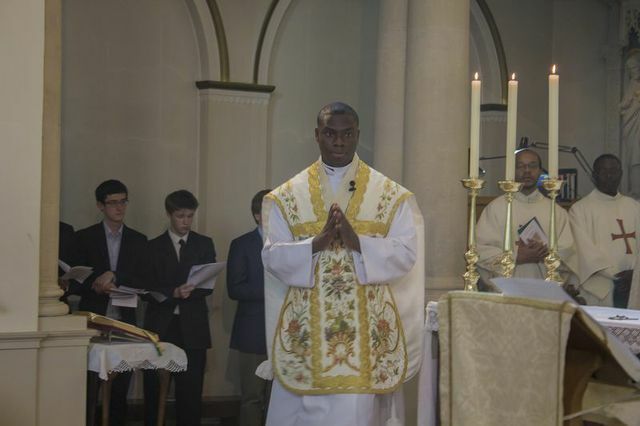 It will enable clergy, religious, and faithful to look again at the liturgical reform and see what needs to be done to enrich the liturgical life of our parishes and chapels so that all of Christ’s faithful are more fruitfully nourished through the liturgical rites. A recent pilgrimage to Rome for the Year of Faith gave me an opportunity to re-visit some of the early Christian basilicas. There are the well-known basilicas of the first millennium of Christian history, such as Santa Sabina, Santa Prassede, and San Clemente, of course. 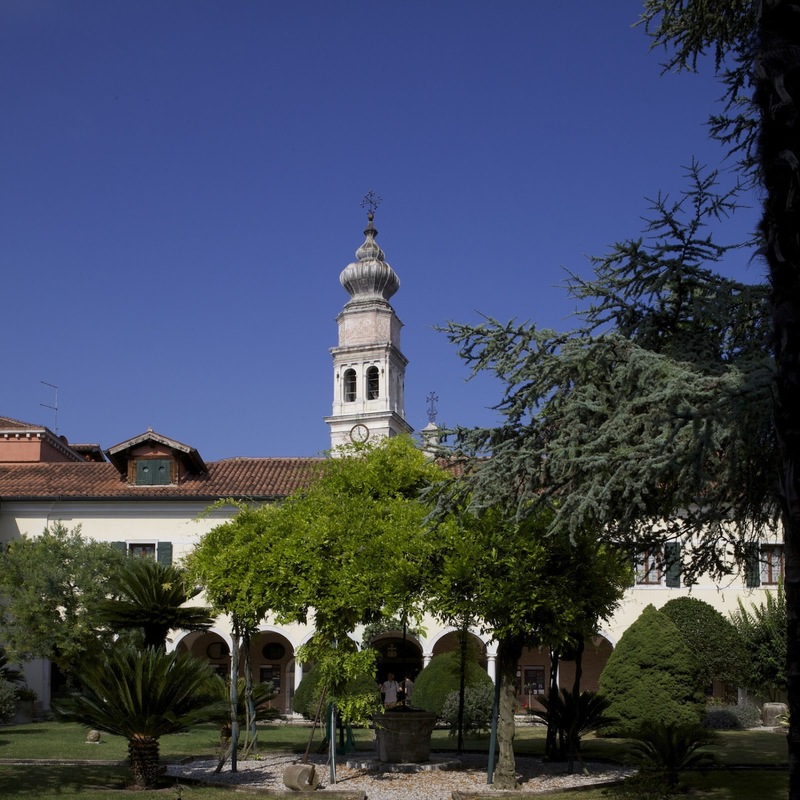 But this time I also visited a lesser-known church just a stone's throw from where I was based in Rome at the Angelicum. The church of Sant'Agata dei Goti (St Agatha of the Goths) was built in 462-70, and it has the distinction of being the only surviving church in Rome to have been built by the Arian Goths. 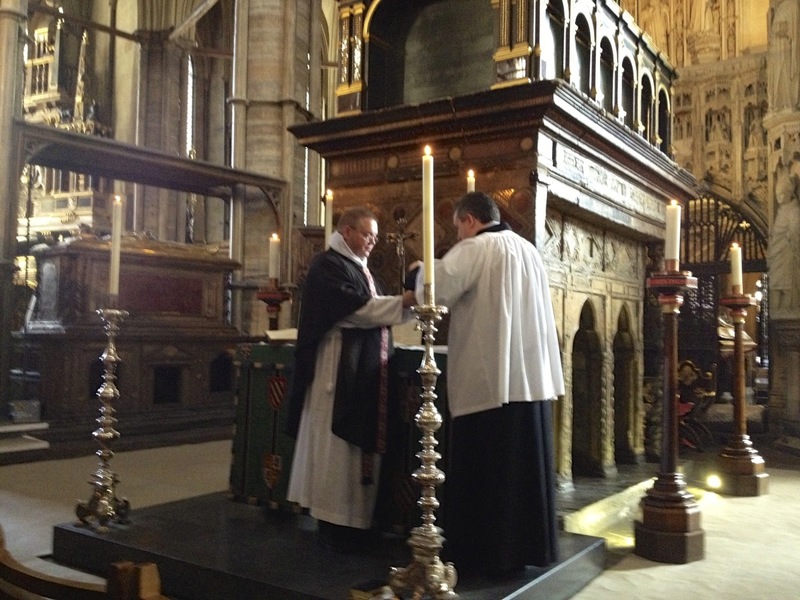 It was re-consecrated for Catholic use by Pope St Gregory the Great in the 6th-century. 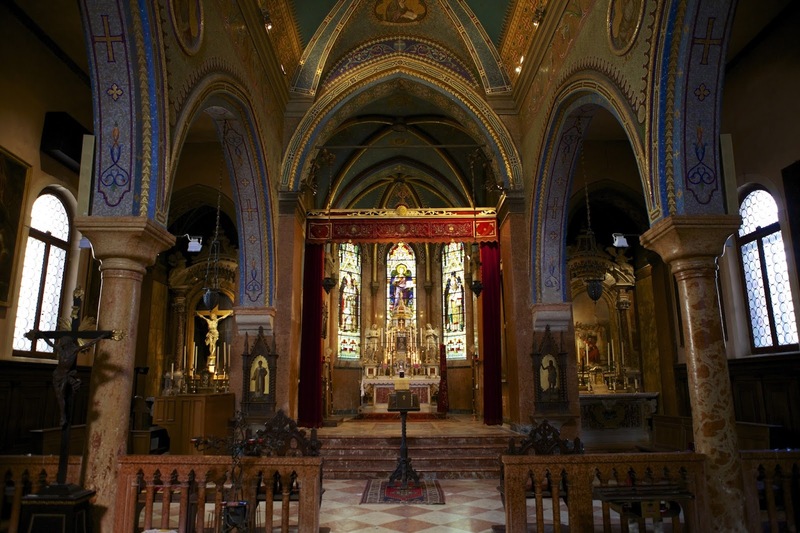 Incidentally, this is currently the titular church of His Eminence Raymond Cardinal Burke. The church retains its 5th-century plan, being a basilica with three naves, each terminating in an apse. Looking at an ancient Roman church like this, built for a relatively small community, it occurred to me that in this church one could see at least three features that inspired the classical Liturgical Movement. Firstly, the Blessed Sacrament was reserved in a tabernacle in the apsidal chapel to the right of the main apse and Altar. 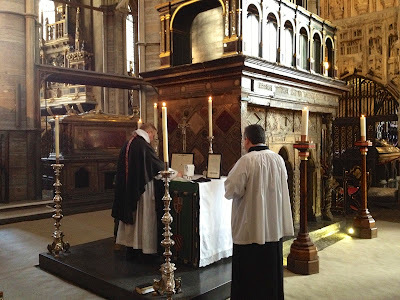 Indeed, in almost every Roman church I visited (these being, in the main, churches from the first 1500 years of Christian history), the tabernacle was not reserved on the High Altar at all, but in a side chapel. 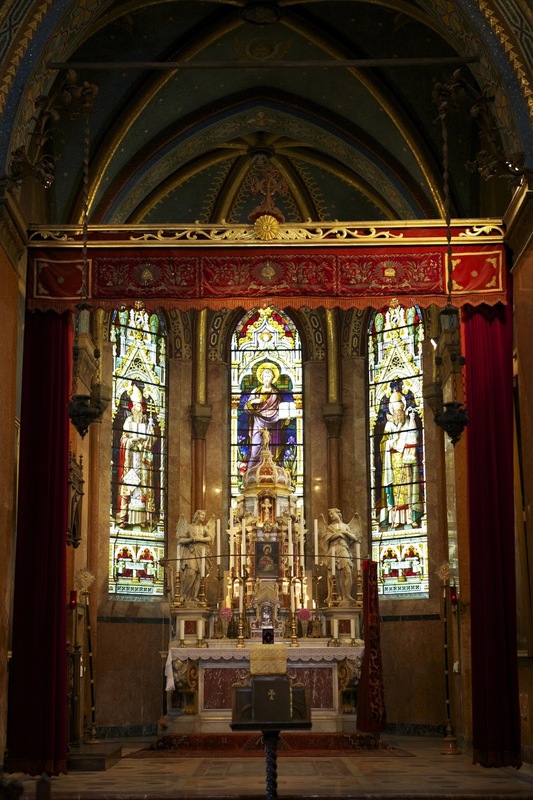 I am conscious that this idea has not always been successfully applied in the modern era, and I am sympathetic of the desire to have the Blessed Sacrament most conspicuously prominent in a church. Nevertheless, there are ways of adopting the more ancient practice of Eucharistic reservation (i.e., somewhere other than on the main Altar) which are more successful than others, and they are worth bearing in mind, especially in the construction of new churches. The location of the tabernacle in Sant'Agata dei Goti is particularly successful because the tabernacle is not hidden away but actually the first thing one encounters upon entering the church. This is because, as is often the case in ancient churches, one typically enters by the side, normally the liturgical south. 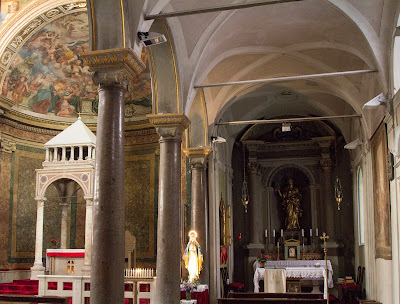 In Sant'Agata, the south aisle (which is thus on the right of the central nave) terminates in an apsidal chapel in which the tabernacle is located. Hence, one comes in by this side door, and immediately sees, to one's right, the Blessed Sacrament, and one, of course, genuflects and may go directly to visit the Lord. The entire south aisle, which is short and has a lower vault than the central nave, is effectively a side-chapel. The Eucharist is thus kept in a place that is distinct from the main Altar, but as the Code of Canon Law says: "prominent, conspicuous, beautifully decorated, and suitable for prayer". 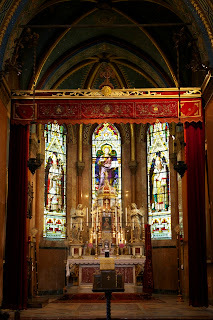 The benefit of such an arrangement, of course, is that it makes the main Altar truly prominent, and it is further dignified by a simple but noble ciborium (baldachino). This combination of altar and ciborium is the second important feature of this church. The altar ciborium in Sant'Agata is medieval, dating from the 12th or 13th century. It was removed at some point but it was happily re-assembled and erected over the Altar in 1933, and is in very good condition. 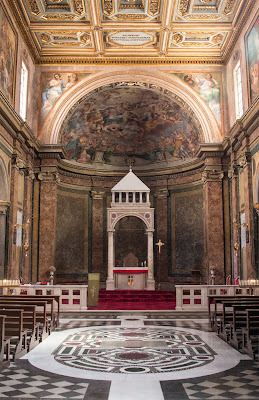 The Altar, as is so often the case in these early Christian churches, is free-standing and elevated but it is not lost in the apse, and made truly noble and beautiful by the baldachino. This, surely, must be the image we hold in mind when we think of free-standing stone altars in our new churches. It is entirely possible, if one still desires to have the Blessed Sacrament reserved centrally, to use a hanging pyx. I don't think modern attempts of this medieval custom have been particularly successful but it can be done well, using ancient models, if we bear in mind that we only need a pyx large enough to reserve sufficient Hosts for the sick and for adoration of the Eucharist. After all, GIRM no.13 expresses the wish of the Second Vatican Council that communion during Mass should not come from presanctified Hosts reserved in the tabernacle but "from the same Sacrifice". As such, a larger pyx hanging over the Altar is not really necessary, although a larger tabernacle will be needed for the Triduum when presanctified Hosts are given in communion on Good Friday. Thirdly, I noted the model of "unity by inclusion" found in Sant'Agata. 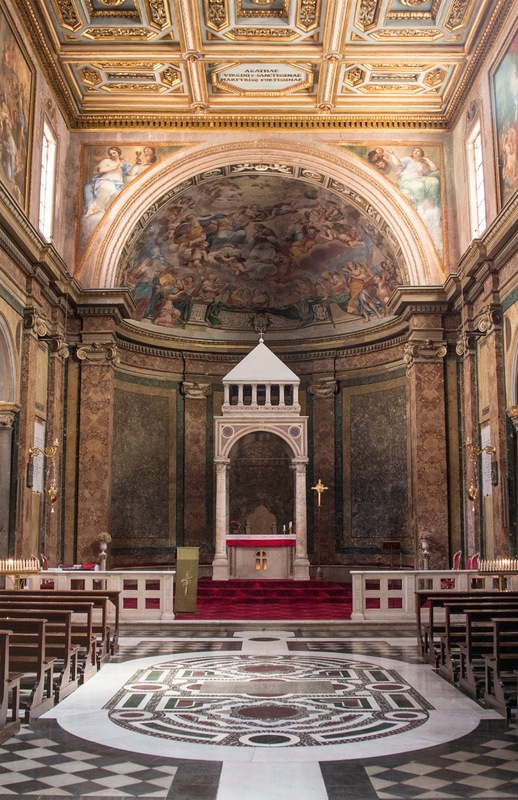 Here, as in many of Rome's older churches, the early Christian style sits comfortably side-by-side with the medieval and Baroque. Hence the Second Vatican Council states: "The Church has not adopted any particular style of art as her very own; she has admitted styles from every period according to the natural talents and circumstances of peoples, and the needs of the various rites". In the planning of a contemporary parochial church, I think there is much that we can learn from Sant'Agata dei Goti; much by which to be inspired. Maybe someone can tell us something about this "Cappa Negra" that is on sale at eBay? I had a friend once who used to teach philosophy to undergraduates at Cambridge. He told me that for him philosophy was all about the phrase: ' it depends what you mean by....'. He was joking but what he was getting at was that just about anything can be true as long as you make the words fit the meaning that you want them to. Consider now what might be a good definition of beauty? How about this: 'that which pleases upon being seen (or perceived)? 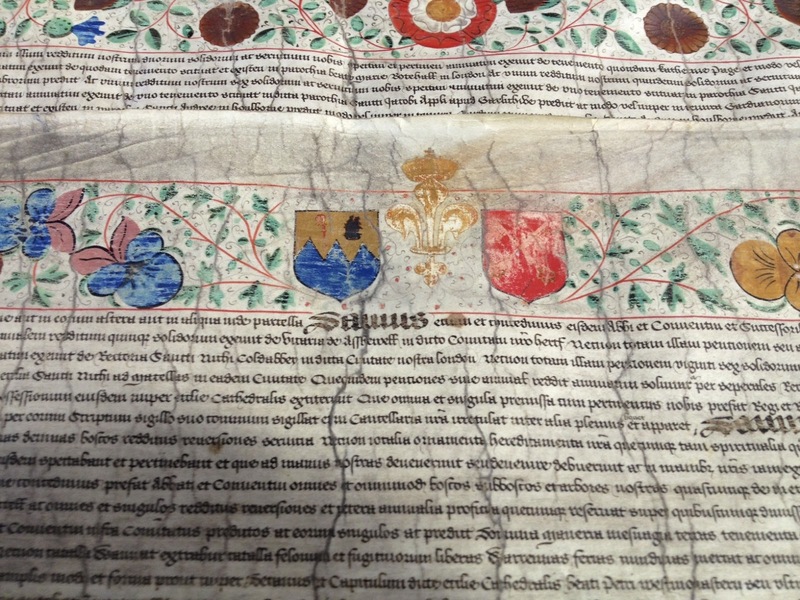 To give it some medieval authenticity here it is in Latin - id quod visum placet. This, is regularly presented as definition of St Thomas Aquinas. I am no philosopher (and so am happy to consider that the problem could be mine), but my first reaction is to be troubled by this definition for two reasons. First is that it didn't seem to take into account the possibility of error in judgement. If I disagree with someone on whether or not something is beautiful (and this has happened plenty of times), and if beauty is an objective quality and not merely a matter of opinion, then one or both of us must be in error. It always seemed to me that the only way of reconciling this with the definition was to say that it depends what you mean by "seen"; and it depends what you mean by "pleased". Maybe this is relying on the fact that to apprehend beauty I have to see in the sense of apprehend clearly, as the pure see; and maybe also it is true if we consider only a genuine pleasure that which is derived from what it truly good. For all I know this definition probably also depends on what you mean by 'that which'. Simple though the expression is, if we have to struggle with the definitions that much to make it fit ordinary experience then does it have any real use? Couldn't someone clever come up with a better definition? Is the goal here to discover truth or to make Thomas Aquinas true I wondered? Later in reading Umberto Eco's Art and Beauty in the Middle Ages there is a note in the bibliography at the back that reads as follows in a discussion of Maritain: "Expressions such as pulchrum est id quod placet are accepted as authentic Thomistic formulae by people who do not care, or perhaps are not aware that this definition was devised by Maritain himself. What Aquinas actually wrote was pulchra dicuntur quae visa placent. The difference is considerable. Maritain's proposition is a dogmatic attempt to define once and for all the ontological character of beauty. Aquinas's is more like a sociological finding. It means 'things that give pleasure when they are perceived are called beautiful', and this is to introduce the problem, not to solve it." I feel happier just not liking Maritain than I do not liking both him and Aquinas! I always preferred the definition of beauty as 'the radiance of being' or John Paul II's 'the good made visible' anyway (the latter comes from his Letter to Artists). Once we have either of these, then Aquinas's three qualities of beauty: integrity, due proportion and claritas work well..(.he did actually give us these didn't he?). Any who understand this better than I do, please instruct! Mr. William A. Thomas' report on the FOTA VI Conference concludes with summaries of the talks given by Professors Manfred Hauk, Robert L. Fastiggi, and Fr. Sven Conrad F.S.S.P. Our thanks once again to Mr. Thomas for his diligent reporting. During the Council and its preparation, practical aspects dominated the discussion. Before the beginning of Vatican II, the Congregation of Rites observed that “a new and careful historical and dogmatic investigation on the origin, the nature and the extension of the strictly sacramental concelebration would be necessary”. This problem is very serious because the enlarged practice would be “a notable change in the liturgical discipline of the Latin Church”. 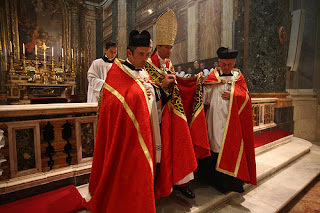 The Prefect of the Congregation, Cardinal Larraona, asked two declarations from the Holy Office: 1) about the value of the concelebrated Mass: if one Mass concelebrated by ten priests really has the same value as ten Masses celebrated by ten priests; 2) about the legitimacy of the idea that every concelebrant can receive an offering. These declarations never arrived. The Professor continued “The final text of the Council on concelebration in SC 57f states that concelebration “remained in use to this day in the Church both in the east and in the west,” an historical affirmation which requires a distinction. 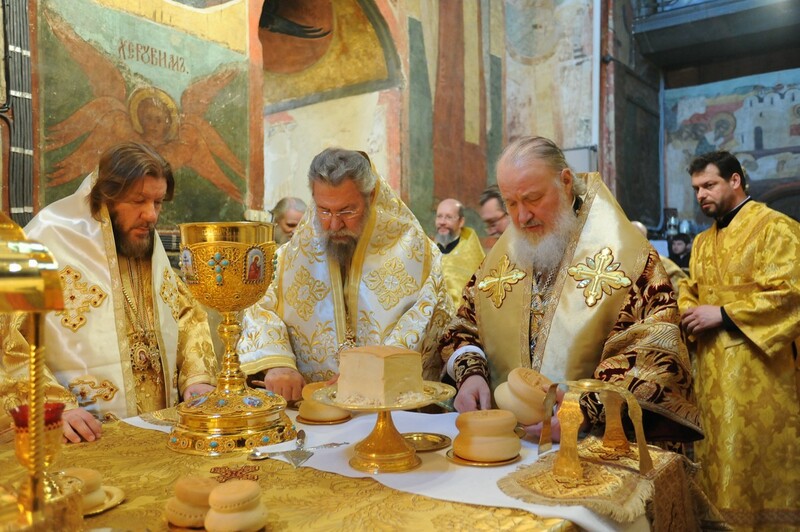 The enlargement of concelebration is intended for very special occasions (such as Holy Thursday and conferences) and must be regulated by the Ordinary, who can permit it for other cases in monasteries and in the parishes. Each priest retains his right to celebrate Mass individually (though not at the same time in the same church as a concelebrated Mass nor on Holy Thursday). The preference for communal celebration expressed in SC 27 must be taken together with the note of the Conciliar Commission, that every Mass has in and of itself a public and social nature. This is true also if there cannot be present a number of the faithful (PO 13). PO 7 recommends concelebration “at times” together with the bishop. Vatican II did not resolve the debated question of stipends for concelebrated Masses nor did it go into depth on the topic of the sacramental fruits of concelebration compared with Eucharistic Sacrifices offered up individually. The “Ritus servandus” of 1965 provided that the number of concelebrants normally should not be over 50. The decree Ecclesiae semper of the Congregation of Rites in the same year mentions that in concelebration the priests operate together “one sacrifice in one sacramental action”, referring to the explanation of St. Thomas Aquinas, abandoning the precedent observation (during the preparation of Vatican II) that the concelebrating priests operate various sacrificial acts in the person of Christ. 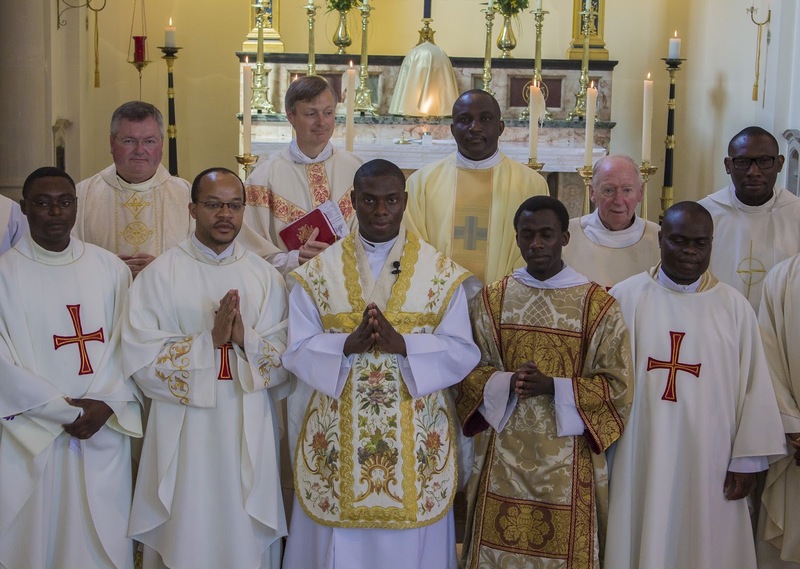 Concelebration manifests the unity of the priesthood, the sacrifice and the whole people of God. Benedict XVI poses critical questions on the validity of large-scale concelebrations (Sacramentum caritatis, 61; talk of February 7, 2008). After the Council, various dogmatic problems were discussed: the possibility for a sacramental concelebration without pronouncing the words of Christ at the Last Supper, the significance of the extension of the hands in concelebration (indicative or epiclesis) and the validity of large-scale concelebrations, when the distance from the altar is very great. He went on to describe various positions taken by Karl Rahner and Gisbert Greshake, by the Thomists Joseph de Sainte-Marie and Rudolf Michael Schmitz, and by Paul Tirot and Philippe Gouyaud. Robert L. Fastiggi, Professor of Systematic Theology at the Sacred Heart Major Seminary in Detroit, gave the following paper entitled “The Mass as the Sacrifice of Christ and the Church according to Sacrosanctum Concilium.” This paper examines how the constitution reaffirms the traditional Catholic dogma of the Mass as an unbloody re-presentation of Christ’s bloody sacrifice at Calvary, in response both to those who claim Vatican II de-emphasized the Mass as sacrifice, and those Catholic theologians who have tried to obscure the sacrificial character of the Mass. “The emphasis of Sacrosanctum Concilium on the ‘Paschal Mystery’ is demonstrated to be intrinsically linked to the sacrificial character of the Eucharistic liturgy, and furthermore, (the) recognition (in paragraph 48) of the participation of the faithful in the offering of Christ’s sacrifice at the Mass is shown to be a teaching previously expressed by both Pope Pius XI and Pope Pius XII.” As he concluded his paper Fastiggi continued “this participation though, must be properly understood as rooted in the Church as the ‘Mystical Body of Christ’ as taught by Pope Pius XII, and that this participation in the sacrificial offering is a privileged form of active participation,” he said. The final paper of the Conference was given by Father Sven Leo Conrad of the Priestly Fraternity of Saint Peter, entitled “Liturgical Act or Liturgical Celebration? 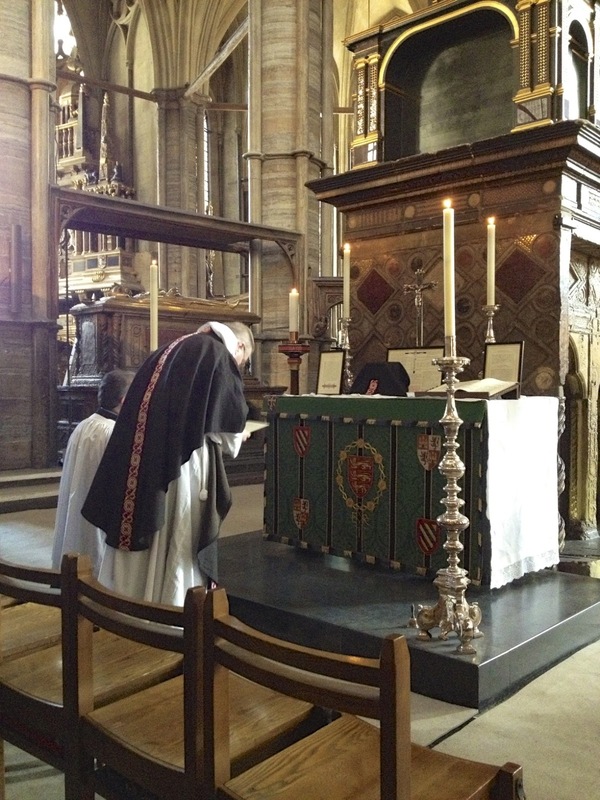 Some Considerations in the Light of Sacrosanctum Concilium and Presbyterorum Ordinis.” Fr. Conrad began by citing a report on an Extraordinary Form Mass celebrated at the German Katholikentag of 2012, characterizing it thus: “The priest stands with his back to the people. The chants and the texts are in Latin. This is not a common celebration of the faithful. 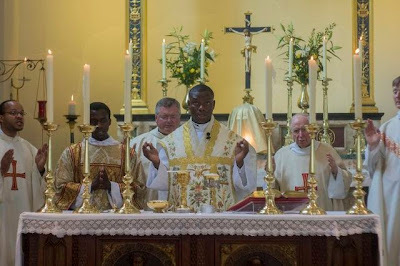 It is the Sacrifice of the Mass at which the faithful assist.” Prejudices and misunderstandings towards the Gregorian Mass are today often founded on this idea, that this liturgy is not concerned with common celebration, and the faithful are excluded from the essential action. In order to adequately respond to this we must first clarify the concept of liturgical celebration. The full text of all these talks will be published in book format. 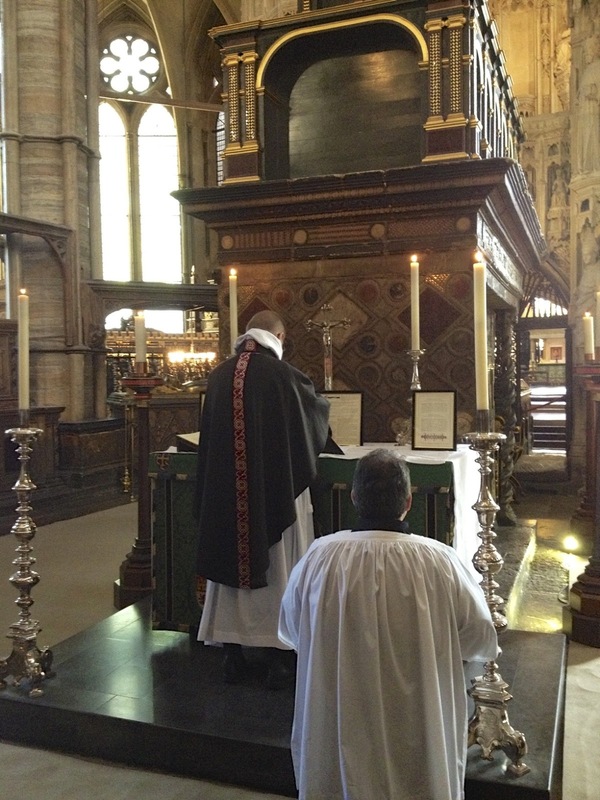 In spite of its ritual complexity, a solemn Mass in the usus antiquior comes across as a seamless and flowing single action that carries the worshiper along from start to finish, without awkward caesuras or transitions. 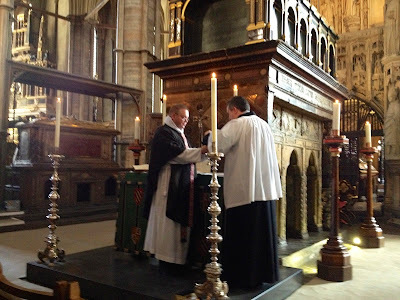 At the same time, some of the most impressively beautiful traditional liturgies I have assisted at moved along with a surprising fleetness by the hand of the clock, yet without the slightest appearance of haste or hurry. Both of these aspects—the sense of a natural ebb and flow, and the “Roman efficiency,” which complements “noble simplicity” rightly understood—are the result of centuries of gradual perfection in prayers and chant, ceremonial and rubrics. Everything “clicks” the way it’s supposed to, and one is caught up in the wonderful momentum of it all. And regardless of how much time it takes, it helps you forget about time by its power to pass beyond time. A major cause of this sense of “passing beyond time” is bestowed on the liturgy by the ancient chant, sung in modes that surpass our restricted melodic conventions and with a free-floating rhythm that baffles our expectation of beat (and therefore “keeping time”). Anthropologists of religion tell us that every ancient religion has a sacred chant all its own because of a deep human instinct for distinguishing what is sacred from what is profane, setting apart certain signs, be they linguistic, musical, or ceremonial, from all others that belong to the workaday human world. The Jews and the Moslems have ancient tones to which they chant their holy writings, the Buddhists and the Hindus likewise. Alice von Hildebrand observed: “Not only is the quality of sacredness a mark of all religions, but it is so essential to religion that the very moment sacredness disappears religion vanishes with it.” This innate human awareness, woven into our soul by God the Creator, is brought to completion by the same God when he revealed to us how best to worship him, as he did first for the chosen people of Israel, and, in the fullness of time, as he did for the Church when he gave her the sacrifice of the Body and Blood of Jesus Christ. The sacred chant of the Latin Church was born out of a confluence of Jewish cantillation and Greco-Roman song, the same diverse cultural milieu that shaped our liturgy and our theological language. 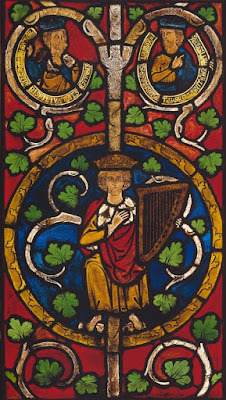 As a result, there developed in the first millennium a music proper to the Roman Rite, a music that grew up with it from the beginning and was never left aside. 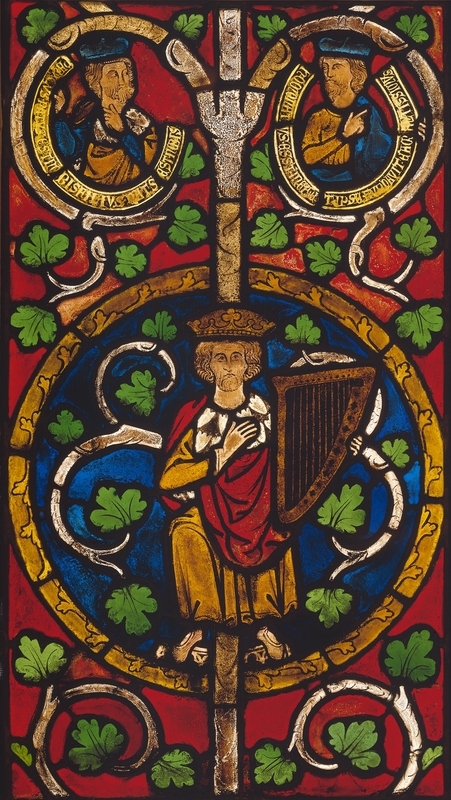 No matter how many subsequent musical developments there were, no matter how elaborate became the Masses of Palestrina or Mozart, Gregorian chant always remained a vital component of the liturgy; it was never discarded as a primitive historical form, one destined to be supplanted by the progress of art. Indeed, later polyphonic and homophonic music makes continual reference to this immense treasury of chant—even the music of Protestant composers such as Johann Sebastian Bach (one need only think of the cantus firmus in the marvelous Credo of the Mass in B Minor)—so much was it the common language of all church musicians. One does not simply leave behind tradition, for it preserves the origin and makes it ever present. Tradition is the gift that each generation must give intact to the next. The most fundamental problem, then, with the postconciliar “popular” church music is that it is quite simply fabricated, altogether new. It has no organic connection with the tradition of the Church and with the music that has never ceased to grace the worship of the Church in every generation (even if not every congregation was privileged to hear it in its fullness). It is religious music ex nihilo: in no way a development of the tradition, it is rather a rejection of it, a break, a totally new direction. Its direction is from the world and to the world, not from the church and to the church. It is meant to be “relevant,” to “appeal,” to “speak to people where they are.” This has never been the purpose of sacred music or even of the liturgy itself. The purpose of divine worship is to worship the divine, not to entertain or even to catechize people. When we adore God in the manner handed down to us by tradition, we are the ones who are made relevant to the divine (so to speak), we are the ones re-formed. We are taken to a place where we are not, but where we should be and must go. So good is the heritage we have received that nothing, nothing needs to be added to it in order to have the fullest and most fitting solemnity of divine worship. Certainly, an abundance of beauty has been added century by century to the musical treasury of the Church. Who would question for a moment the artistic splendor and liturgical suitability of the polyphonic masterpieces of the Renaissance, not to mention countless other compositions down to our own times? Still, in his admirably principled way, Pope Pius X reminds us of a truth we should never lose sight of: a Mass sung exclusively in chant is not deficient or defective in any way, for it is clothed with the resplendent vesture of the King—the musical raiment with which Tradition, inspired by the Holy Spirit, has covered the Western liturgy, a glory of pure melody like nothing else in the history of the world. 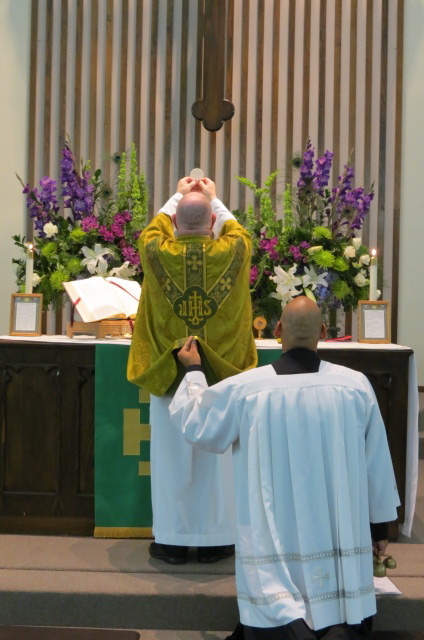 Given these royal robes—hand-made, custom-fitted, bequeathed to each generation, held out to the People of God by one Vicar of Christ after another—can we seriously look elsewhere for the music of the liturgy? Can we ever be forgiven if we persistently ignore, demote, or denigrate this patrimony? If the universal Magisterium of the Church teaches the truth of Christ by the power of the Holy Spirit, and if this Magisterium has been absolutely clear and utterly consistent about the primacy of Gregorian chant in the liturgy (limiting ourselves to the past century alone, we can see an unbroken chain from St. Pius X to Vatican II to Benedict XVI), then the rejection of the chant risks being a sin against the Holy Spirit. The postconciliar fabricated secularized church music must be repudiated, in the name of Tradition, in the name of sound spirituality, and in the name of the Second Vatican Ecumenical Council, which solemnly taught: “There must be no innovations unless the good of the Church genuinely and certainly requires them; and care must be taken that any new forms adopted should in some way grow organically from forms already existing” (SC 23). 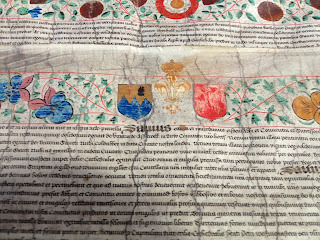 This, of course, was the same Council that famously declared: “The Church acknowledges Gregorian chant as specially suited to the Roman liturgy: therefore, other things being equal, it should be given pride of place in liturgical services” (SC 116). 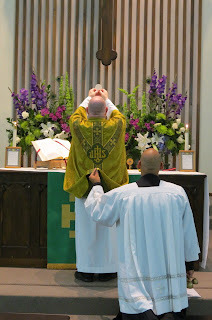 That is, even if other things are viewed as equal, chant should still be given pride of place, precisely because it is “specially suited to the Roman liturgy.” The ceteris paribus phrase strengthens rather than weakens the Council’s unequivocal judgment that chant deserves primacy in the Roman rite. Let there be an end to excuses and a beginning, at last, to the renewal that the Council actually called for. This renewal will include Gregorian chant at its heart, or it will fail. The New Evangelization must thrive on obedience to the Magisterium or it will be stillborn from the womb. The website of the journal First Things has a truly fascinating article by Carl. R. Trueman, Professor of Church History at Westminster Theological Seminary, entitled “Tragic Worship.” His thesis is that Christian worship has lost the sense of death as the ultimate human reality, a “tragedy” in the classical sense of the term, and this loss reduces worship to a form of entertainment which becomes both banal and irrelevant. The problem with much Christian worship in the contemporary world, Catholic and Protestant alike, is not that it is too entertaining but that it is not entertaining enough. … It neglects tragedy ... a form of art and of entertainment (which) highlighted death, and death is central to true Christian worship. The most basic liturgical elements of the faith, baptism and the Lord’s Supper, speak of death, of burial, of a covenant made in blood, of a body broken. Even the cry “Jesus is Lord!” assumes an understanding of lordship very different than Caesar’s. Christ’s lordship is established by his sacrifice upon the cross, Caesar’s by power. (Referring to Pascal's critique of 17th century France as a society obsessed with entertainment:) It would not puzzle him that death has been reduced to little more than a comic-book cartoon in countless action movies or into a mere momentary setback in soap operas and sitcoms. Indeed, he would not find it perplexing that the bleak spiritual violence of mortality leaves no lasting mark on the bereaved in the surreal yet seductive world of popular entertainment. But he might well be taken aback that the churches have so enthusiastically endorsed this project of distraction and diversion. This is what much of modern worship amounts to: distraction and diversion. Praise bands and songs of triumph seem designed in form and content to distract worshipers from life’s more difficult realities. Even funerals, the one religious context where one might have assumed the reality of death would be unavoidable, have become the context for that most ghastly and incoherent of acts: the celebration of a life now ended. It is therefore an irony of the most perverse kind that churches have become places where Pascalian distraction and a notion of entertainment that eschews the tragic seem to dominate just as comprehensively as they do in the wider world. I am sure that the separation of church buildings from graveyards was not the intentional start of this process, but it certainly helped to lessen the presence of death. The present generation does not have the inconvenience of passing by the graves of loved ones as it gathers for worship. Nowadays, death has all but vanished from the inside of churches as well. The full article can be read at First Things, and is very much worth your time.